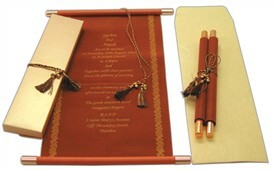 Description: Rich and ravishing! 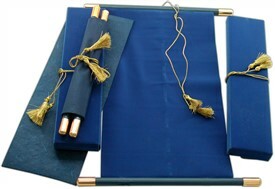 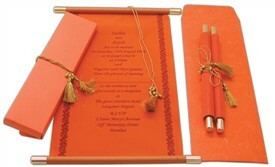 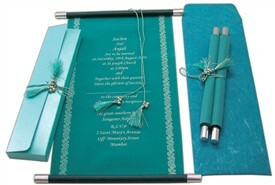 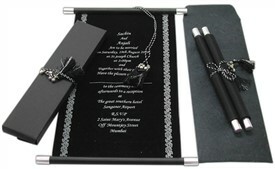 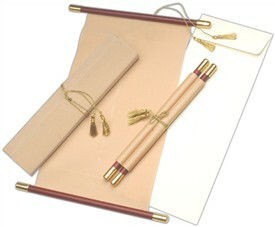 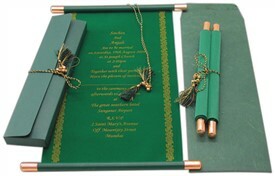 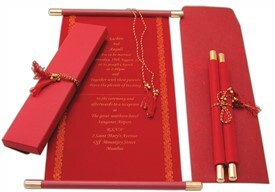 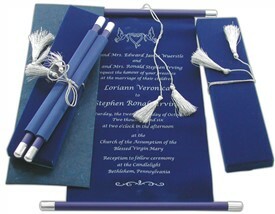 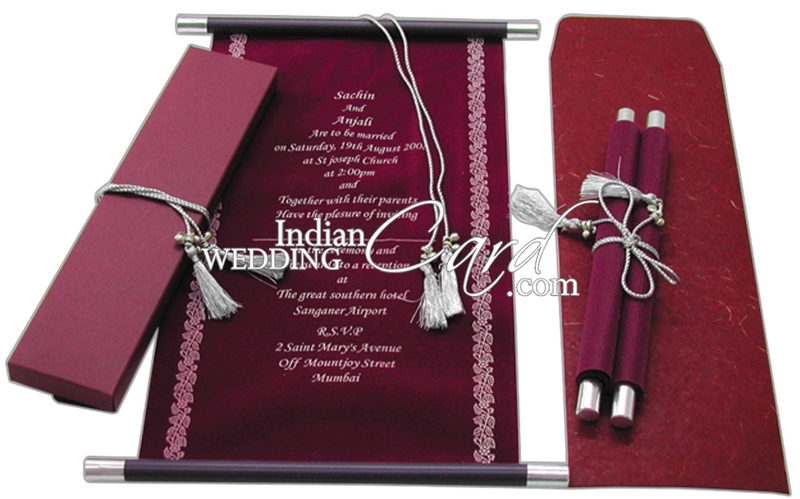 This scroll invitation is small in size, budgeted and for all occasions yet it’s a Royal Invite. 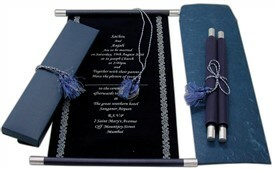 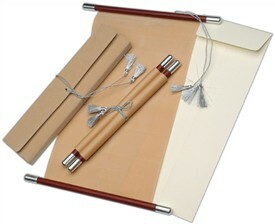 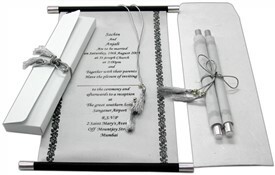 The scroll comes with a matching bar fitted with metallic finish silver knobs on both sides and tied with matching tassel. 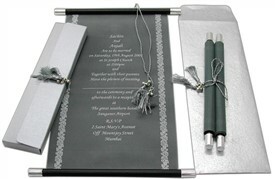 The box and mailing envelope are also matching and plain.